We invite you to check the list of accommodation below and find a suitable place for your leisure or business trip, for a short- or a long-term stay in Ljubljana. 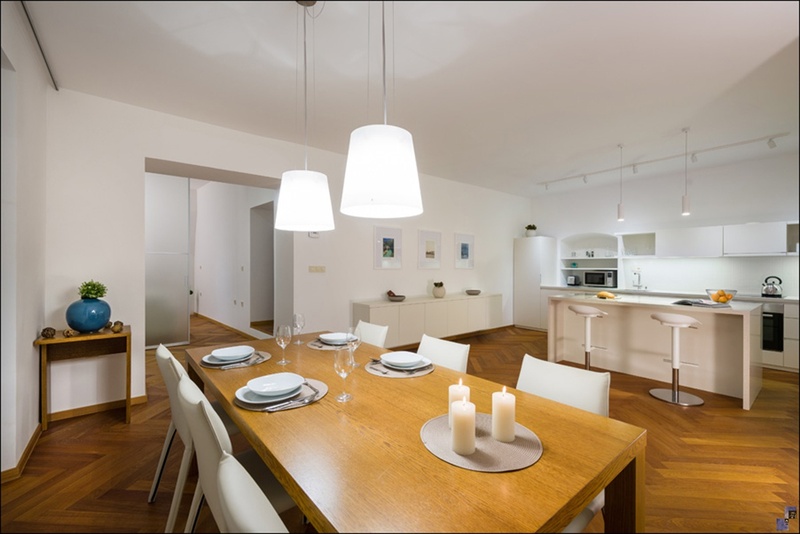 Our portfolio of apartments ranges from economical studios up to luxurious three-bedroom apartments for 1 to 7 people in the centre of Ljubljana or its immediate vicinity. All apartments have a fully equipped kitchenette or kitchen with all the necessary cooking utensils, cutlery, toaster, kettle, iron, washing machine, hair dryer, cable TV with over 40 channels and free Wi-Fi. Some of them also feature air conditioning, a balcony and private parking. Towels and linen are provided. For any further information or assistance please e-mail us at info@apartmaji.si. We will certainly do our best to help you or your business partner to find suitable accommodation and choose the right services that will make your living experience simple and easy. * Internet - broadband service or cable connection. Computer equipment is not available. * Use of garage or parking lot against additional payment. Apartments, holiday houses, private rooms, motels, pensions, guesthouses and overnight accommodations are rated with 1 to 4 stars. Hotels are rated with 1 to 5 stars. Youth hostels are not categorized. The rental price includes the use of bedding, towels, kitchen cloths, internet access, electricity, heating, water. When staying at a daily price, standard final cleaning after departure is included in the price. When staying at a monthly price, weekly cleaning and final cleaning are not included in the price. Payment for weekly cleaning and for final cleaning at departure is obligatory and depends on the accommodation type. Arrivals take place from 2pm to 6pm, departures up to 10am, unless agreed upon otherwise. Accommodation can be rented or reserved while unoccupied and unreserved. Reservation is completed by paying the reservation fee or by authorizing us to use your credit card for the payment of the reservation fee by providing us with the credit card holder name, type, number, security number and expiry date of the credit card. 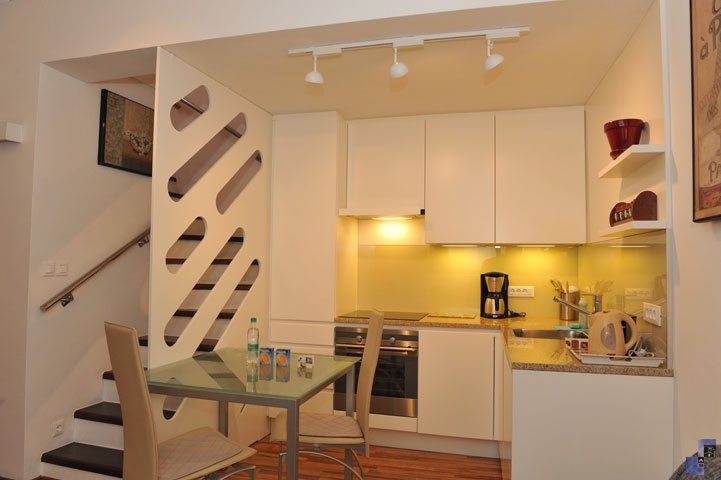 Reservation fee: 30% of the total expected rental or 1 monthly fee for monthly rentals. If the reservation is cancelled in less than 24h before the arrival is due, the whole amount of the agreed stay up to the length of one week should be paid and for remaining days 30% of the agreed amount per night. In stays that are shorter than originally agreed upon with the reservation the daily prices are calculated according to the currently valid pricelist. If the reservation on a monthly basis is cancelled the reservation fee is not returnable. If the guest stays on monthly rent wants to leave before than originally agreed at least one month will be charged from the day that he/she notifies the premature departure. All services are payable in EUR. Guest is obliged to comply with the rules and house order laid down in the guestbook. The guest is bound to report a complaint to the reception on the same day an irregularity is found, in writing within 8 days of completing residence. In other cases, complaint will not be considered. Any caused damage shall be charged according to the pricelist. For certain rental cases, different conditions of residence can be negotiated (in written form), as stated in this general notice and conditions of residence.